Ah, the perfect sunset wedding. It’s been a pleasantly warm day, the air starts cooling down, the sun just barely dips below the horizon and everything couldn’t be more perfect; until the bugs come out, that is. There is nothing attractive about huge mosquito covering your body in all your late night wedding pictures, and your guest certainly aren’t going to want to stay for the cake cutting when they themselves seem to be the ones being devoured. As beautiful as a sunset, outdoor wedding may seem in our minds, an abundance of uninvited pests are sure to crash the party quick. 1.) Stay away from stagnant water. Bugs breed in the still pools of water, so avoid having your ceremony right on the bank of a pond or lake. You’d be swatting your way through the vows. Moving the ceremony a couple hundred yards away might be your best move yet. 2.) Choose a breezy spot. If you were to move up a hill a few yards to a more breezy location, do that. Besides the bugs Maine refers to as it’s state bird, most insects aren’t strong enough to fly in windy conditions, so they avoid them. Besides, have a soft wind blow the hair back from your face would work wonders for your wedding pictures. 3.) Offer bug repellent in your gift favors. Small little bottles of bug repellent lotion will certainly come in handy later. 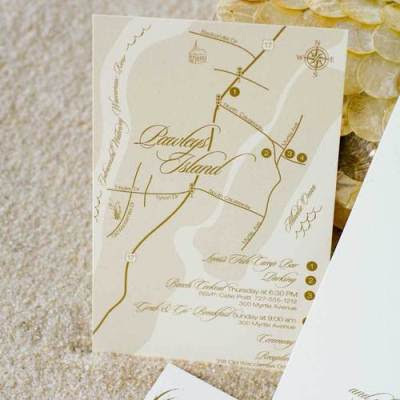 Allow to choose either the DEET or non-DEET option and leave a few extra in areas around the ceremony and reception area. Even a little station with bug repellent wipes will give guests a quick fix should they start to feel a little nibbled on. 4.) Use plants to your advantage. Believe it or not, mosquitos despise the smell of marigolds. Thai lemongrass can also have the same effect. Tie some with pretty ribbon and hang it from a couple trees. Put a few potted marigolds in the doorway of your tent or spread them around the border of the reception area. 5.) Take advantage of bug-repelling candles. Citronella candles can work fairly well in deterring bugs, just as long as you’re okay with the smell the put off. Take a whiff before buying them in bulk and then spread them along the border with your marigolds or even have them in hanging lamps. Lily’s Bridal – Maryland’s Premier Bridal Boutique – Wedding Dresses, Bridesmaids Dresses, Mothers Dresses, Prom Dresses, and Tuxedo Rentals. If you think you’re on the brink of getting engaged, allow us to give you early congratulations; and if you’re not even close to getting engaged, we’ll be just as happy for you anyway. See, you don’t need to be engaged in order to be happy (as many of us know), but if you’ve been dying to plan your dream wedding and your lack of a fiancé is screwing it up, we’ll let you in on another little secret: you don’t have to be engaged to plan that, either. 1.) Go for the little things. If you’ve found the exact pair of heels you know you’re going to be wearing on your wedding day, than by all means, purchase them. If anything, by the time your wedding does roll around, you’ll already have that piece of the puzzle in place and you won’t have to budget for it. 2.) Feel free to dream big. When everything is still up in the air, don’t worry about getting brought back down to earth! Since this is just your dream wedding (not the actual wedding with restrictions, like a budget and time frame), go ahead and let your head float around in the clouds for a while. Just make sure you’re aware of the fantasy of it all; in reality, the Queen of England might have a problem with you using Buckingham Palace as your venue, and Gwen Stefani might not have time to give you the details on the dress she wore down the aisle. 3.) Be aware that these plans will be compromised. When planning a wedding together, it needs to be a reflection of the both of you. That means some of your planning decisions have to be up for discussion later. If he’s a fan of red velvet cake and you’re a fan of devil’s food, you might have to meet halfway and order half of each. Or your all vegetarian menu might go out the door if your fiancé is a lover of meat. 4.) Build up your savings. If you find yourself excited at the thought of having this amazing wedding, you’re going to need a way to pay for it. So cut out some morning coffee trips and reign back your online shopping. Your future wedding budget will thank you for it. 5.) Keep it on the down-low. There’s nothing wrong with planning your wedding before you’re engaged, and there’s nothing wrong with this being common knowledge, but there is something wrong with becoming consumed by it. Not only will your current significant other begin to feel like their only purpose in life is to provide a specific role in your wedding fantasy, but any future significant others might be a bit put off by the whole ordeal. 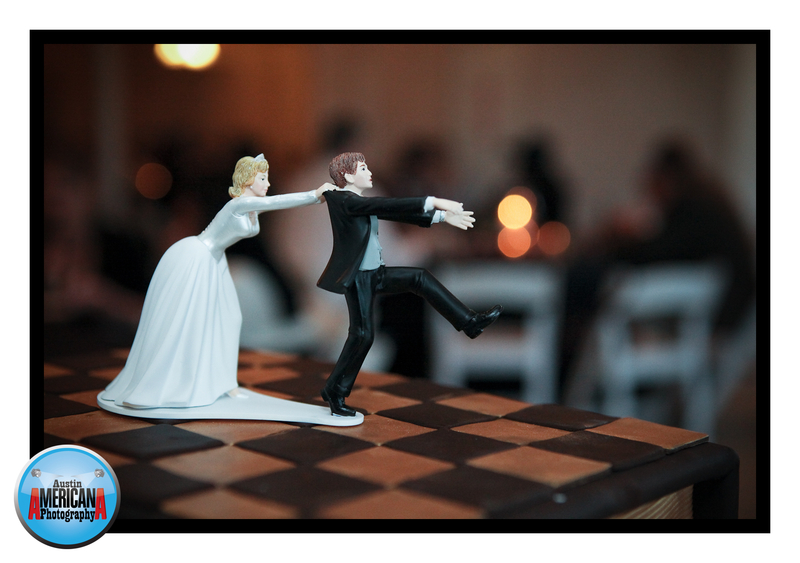 Remember, the point of having a wedding is to get married, not just to throw the perfect party. Lily’s Bridal – Maryland’s Premier Bridal Boutique – Wedding Dresses, Bridesmaids Dresses, Mothers Dresses, and Tuxedo Rentals. Call today and book your appointment 410-553-9336 or book online! In a perfect world, everyone you know would be invited to your wedding. And we’re talking everyone: your family, closest friends, semi-close friends (like your Friday night drinking buddies), coworkers, people that follow your blog and even people you absolutely can’t stand, like that “popular” girl that made your life miserable in high school but has since gained 40 pounds and works at a gas station. Yeah, she’s going to want to see this. But the fact is, not everyone can come to your wedding, even people you really, really do care about. So what happens when they clearly expect an invite but are definitely not going to receive one? We’ve got you covered. 1.) Sorry, but you just don’t have the budget. Weddings are expensive; everyone knows this. So just blame it on the budget. Bring up something else that costs a ton of money that you were completely unaware of, like the photographer. This will direct the conversation to something else and give you something to bond over. Say with how stretched your wedding budget already is, it’s hard to see how you are going to have any guests at all! 2.) Sorry, but it’s just going to be family and maybe a few close friends. If it’s a friend, you can even say that it’s going to be mainly just family. If it’s a family member, well…they probably already know why they aren’t invited. If not, just direct them to your mother. She’ll let them know. 3.) Sorry, but the venue is really limiting in the number of guests we can invite. 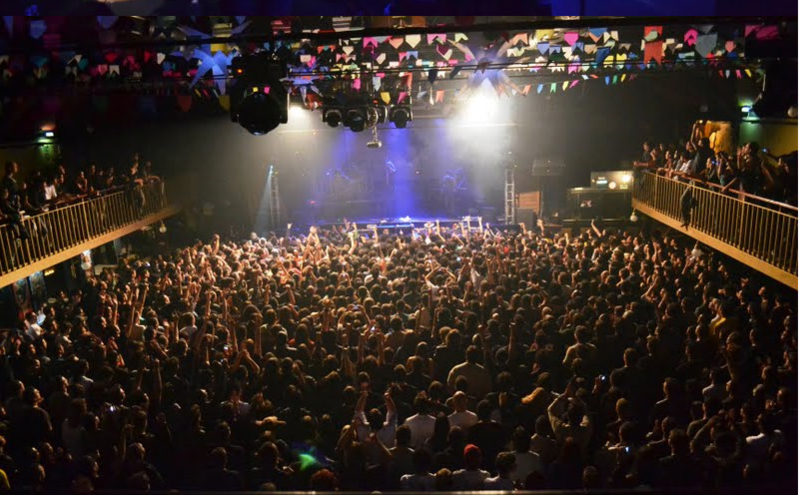 Venues are tough to find, so when you do find one that fits 90% of your needs, it’s understandable that a few things might get pushed to the side. So simply explain that your venue strictly limits the number guests that can attend, and with your fiancé’s huge family, you’ve really had to cut out quite a bit of people that you wish could come. 4.) Sorry, but everything is still up in the air. If it makes you feel better to dance around the subject, simply say you haven’t finalized your guest list and are desperately trying to figure out a way to avoid narrowing down your current list. Say limited space and funds are making it difficult, so you’ll let them know. 5.) Go rogue. Here’s an option that’s just craze enough that it’s actually known to work. Wait until after the wedding, then call up the scorned guest asking if you two are “good.” Explain that you were disappointed not to receive an RSVP from them and hope everything is okay. They’ll explain that they never got an invitation, you can blame it on the postal service, and you both can go out for coffee and laugh about it. Then in three weeks text them and let them know the same thing happened to (insert name of made-up friend or family member here) too! Crazy, right?! Lily’s Bridal – Maryland’s Premier Bridal Boutique – Offering Wedding Dresses, Bridesmaids Dresses, Mothers Dresses, and Tuxedo Rentals. Call 410-553-9336 to book your appointment today or book online! 1.) All general information is included. Who is getting married, the date, time and place of the wedding (and reception, if it is in a different location), the dress code and a picture of you and your fiancé need to be included. And yes, a picture is essential. You may know who your grandmother is, but if she’s got 12 other grandchildren to keep track of (and she’s in her mid-80’s), a picture will be an invaluable help to her. 2.) A map and accommodation information. Sure, it may seem incredibly unnecessary, what with all the GPS systems nowadays, but don’t assume all your guests have this technology. Even so, many of the weddings I travel to are located in Western Maryland, and there’s definitely no internet connected in the middle of the mountains. A map is always useful. In addition, you are going to have guests that are attending your wedding from out of town, and it will be a huge help if you can provide them with a few options of where to stay. 3.) RSVP instructions. If you want people to RSVP by mail, it’s essential to include a self-addressed, pre-stamped RSVP card. If you want people to RSVP online instead, you need to give them directions to website or Facebook page, etc. However, it’s best to keep an open mind. Your grandmother is probably not going to have a Facebook page and most likely won’t be able to navigate to your website. Make sure she has an actual RSVP card that she can mail back. Put a number on the back of the RSVP card that you track. As some guests forget to put their names on the card.They just say yes, 2 attending. 4.) Website and related events. If you choose to have a wedding website (a fantastic idea, and I explain why here), add it in with your invitation. Related events would include a rehearsal dinner or brunch, a round of golf or a mid-day hike. Just make sure that you’re inviting the right people to the right event. If you don’t want all 200 guests to show up to the rehearsal dinner, make sure all 200 of them don’t get an invite for it. 5.) Registry information. In some circles, putting registry information in your invitation can seem rude (yes Martha Stewart, I’m talking to you), but many people (myself included) that it’s even more rude to leave them in the dark until they get the courage to ask you or one of your family members where you are registered. Giving them a heads up in your wedding invitation isn’t rude, it’s considerate. Lily’s Bridal – Maryland’s Premier Bridal Boutique – Offering Wedding Gowns, Bridesmaids Dresses, Mothers Dresses, and Tuxedo Rentals. Call today to book your appointment or online! Everyone everywhere has something to say about wedding planning. Everyone has an opinion on what kind of colors look best together, what kind of music people will dance to and what kind of dress will be easiest to dance in. Engagements, however, seem to be in a world of their own. There is no wrong way to propose and every story is romantic no matter what the circumstances. Nonetheless, there are a few things about getting engaged that might take you by surprise. 1.) You will have to tell your proposal story a million times. And then probably a couple times after that. Everyone will want to hear this story. Some couples choose to put their proposal story on their wedding website so people can read about it there, therefore saving themselves the time and monotony of telling the same story over and over again. Of course we think the retelling of the story is half the fun of being engaged. A 20-year married couple rarely gets asked to tell that story. 2.) Your proposal will be different than how you pictured it. In your proposal fantasy, your family was there or you were in different circumstances. Maybe you hadn’t just gotten home from the gym, in sweaty clothes and smeared makeup. But these details don’t make your story any less special, they actually make it more so; they make it real, and real is better than any fantasy. 3.) Everyone will want to know wedding details. You probably haven’t even thought about what flavor of cake you’re going to have or if you’re going to have a DJ or a band playing at the reception, but people will ask you anyway. 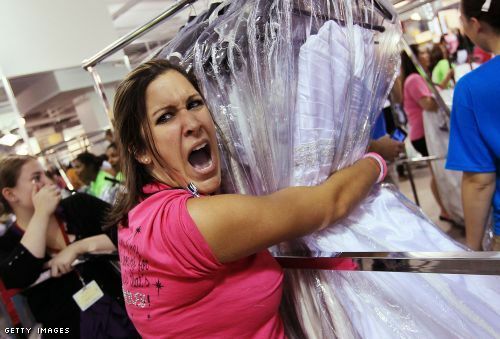 People will want to know when you’re going wedding dress shopping and if you need any help with anything. They will offer up help with the planning and will often bombard you with (unsolicited) advice. Take it all in stride, though; these people don’t mean to be intrusive, they are just genuinely really, really excited for you. 4.) Some will be a bit grumpy. In the midst of all the people that are happy for you, there will most likely be one or two that aren’t so thrilled. Your older sister might be upset that you’re engaged while she’s still single, and your best friend might have a problem with your fiancé. Just keep your head up. True friends know that what makes you happy makes them happy, and sour family members have a way of coming around in the end. 5.) Your relationship will feel different. It doesn’t matter if you’ve been dating for 10 years, and have considered yourselves married for that same amount of time, someone just asked you to spend the rest of your life with them and you said yes. Even without a ring, this is a huge deal. For many people, the wedding becomes simply a formality to make it all official; the engagement is where it became serious. Lily’s Bridal – Maryland’s Premier Bridal Boutique – Wedding Dresses, Bridesmaids Dresses, Mothers Dresses, and Tuxedo Rentals. Call to make your appointment or book online! Everyone has their favorite part of the wedding; maybe it’s the moment the groom first sees the bride, the food or just the open bar. Many of my friends enjoy the act of getting dressed up, while personally, I’m all about the cake. A wedding with good cake is a fantastic wedding indeed. However, as much as your guests may differ about their favorite parts of a wedding, they tend to be on the same page with what they appreciate the most. Read on for some of the best suggestions for a wedding your guests will truly enjoy. 1.) You keep things moving. Nothing makes people antsy quite like having nothing to do. Taking photographs between the ceremony and the reception is a common practice, but making your guests wait three hours between wedding and reception can be a little much. When dinner is over, get on with the cake cutting; don’t dawdle! When people get hungry and thirsty they get cranky, and the last thing you want at your wedding is a group of 200 cranky people. 2.) You keep them comfortable. A ceremony in direct sunlight is understandable, but don’t make your guests sit in that climate for 45 minutes! No one wants to start off the reception sweaty and sunburned. And on the contrary, don’t subject your guests to a freezing cold room for the entire night; especially your elderly guests. 3.) You keep things light. Too many rules can stress people out. There’s nothing wrong with having a set schedule for things (an order in which tables are served, for example), but anything too stringent will make guests wonder just what they are allowed to do. Is it an appropriate time to dance? Can they approach the bride and groom for a hug or will they be ushered away? 4.) You keep speeches short and appropriate. You know the ones in your wedding party that have a tendency to go on and on and on and on and on; so nip it in the bud and make sure they keep their speeches to a 5-10 minute maximum. It’s also a smart idea to read through the speeches first. 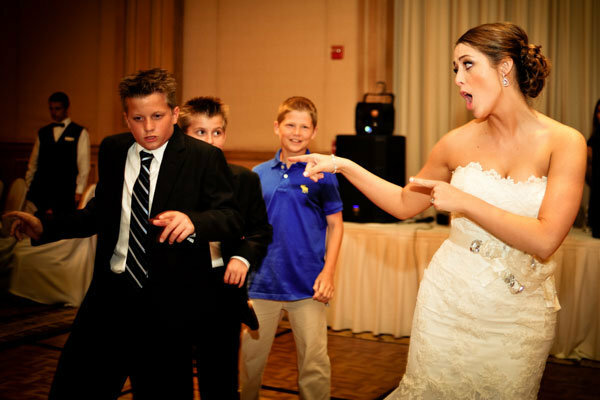 What your best man thinks is a funny story could actually end up ruining the entire evening. Case in point: a recent wedding I attended where the bridesmaids’ speeches turned into a bridal roast, and the father of the bride didn’t wish the happy couple any congratulations, he just talked about how proud he is of his son that couldn’t make it that night. 5.) You provide them a ride home. Chances are, your wedding couples are making the silent deal they often make with each other; one of them can drink while the other will stay sober for the drive home. Making sure they have free transportation at the end of the night is a perfect way to let them both enjoy your wedding without any of the risk. Lily’s Bridal – Maryland’s Premier Bridal Boutique. Offering Wedding dresses, Bridesmaids dresses, Mothers Dresses, and Tuxedo Rentals. Call to book your appointment today or online! 1.) Going over budget. Honestly, it’s a slippery slope. If your wedding ends up costing $10,132 and your budget was $10,000, you’ve done a damn good job as far as I’m concerned. But things tend to add up pretty quick, and before you know it your big day could be passing the $15,000 price mark. Unless you always want your wedding to be a sore subject, stay within your means. 2.) Being predictable. This is your day to do whatever you want! You don’t have to play “Here Comes the Bride” when walking down the aisle, you don’t have to get married in a church, and you don’t even have to wear a white dress! So many brides and grooms complain later about not making their wedding day more personalized. 3.) Taking over everything. Fun fact: your groom is a part of this wedding, meaning his opinions need to be valued as well. Even if he’s completely not involved in the planning, there are going to be one or two things he’s passionate about, like the band or the food. And if he doesn’t want to make a decision, he’s sure to at least tell you what he doesn’t want. He might not be able to decide between buttercream and cream cheese frosting, but he knows he definitely doesn’t want lemon. 4.) Not hiring professionals. Let me be perfectly clear here: you need to hire professionals for certain aspects of your wedding, period. All those gorgeous wedding photos you see on Facebook from your friends’ weddings? A professional did that. Hire your little sister and your photographs will look exactly like what they are; photographs that were taken by your little sister. 5.) Undervaluing comfort. Those four inch heels you bought for your wedding dress? They’re going to hurt later. That gown that weighs 22 pounds? It’s going to wear you out. In either situation, you are going to be spending some time on the sidelines taking a breather. Many brides regret not bringing an extra pair of flats or a lighter, more danceable (yes, it’s a word) dress for their reception. This is your wedding, so trust me when I say you’re going to want to be participating in it as much as possible. Lily’s Bridal – Maryland’s Premier Bridal Boutique – Wedding Dresses up to size 30, Lily’s Bridal offers bridesmaids dresses, mothers dresses, and tuxedo rentals. Call to book your appointment today or online.